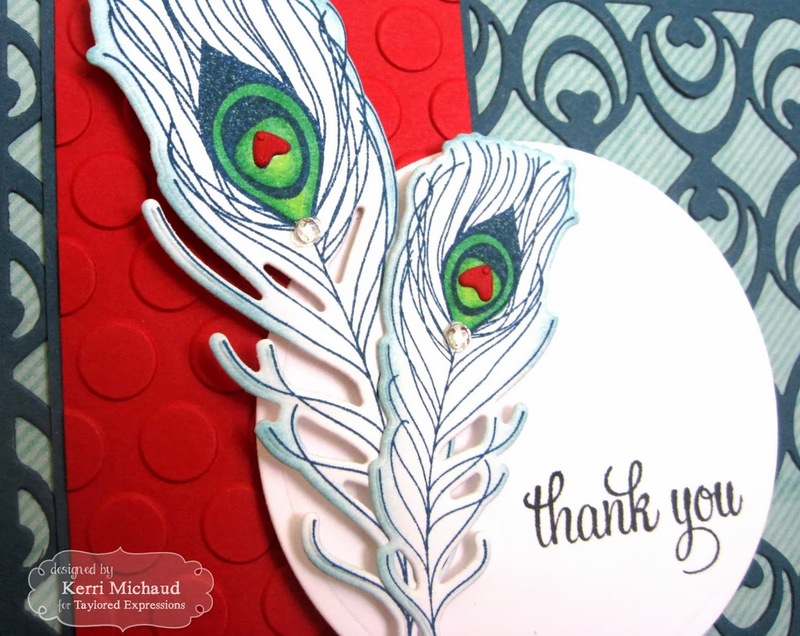 Taylored Expressions Release Day: Wispy Wishes, Wispy Feathers, and Proud Peacock Cutting Plate! Hello! It's Release Day at Taylored Expressions which means that all of the new products you've seen over the past few days are available NOW! You can find them all HERE in the New Department! I have one last card to share today using the new stamp set Wispy Wishes along with the coordinating dies called Wispy Feathers! I LOVE this set! I stamped the feathers with Not Quite Navy ink and colored with Copics. I cut them out with they Wispy Feathers Dies and added the little hearts using the same dies. I also used the new Proud Peacock Cutting Plate for the background and added a couple of Rhinestones. 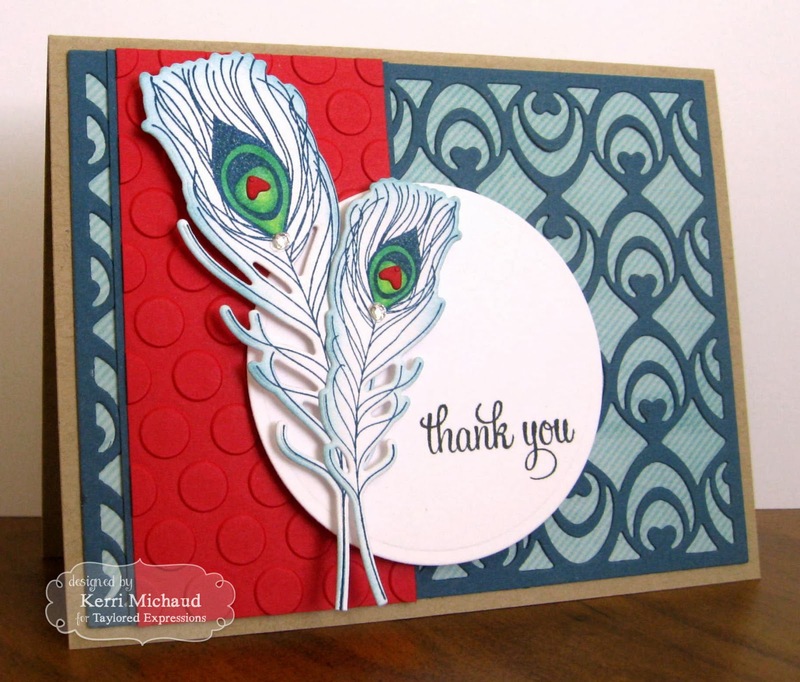 I chose the pretty Thank You sentiment also from Wispy Wishes and stamped it with Memento Tuxedo Black Ink. The rest of the Baker's Dozen have projects to share today as well. Make sure you check them out and have fun shopping!